There's a daily battle for your attention. It's a fierce one: your social networks are constantly beeping for you, news outlets are creating breaking news every second of every day, your own life's struggles want your attention. 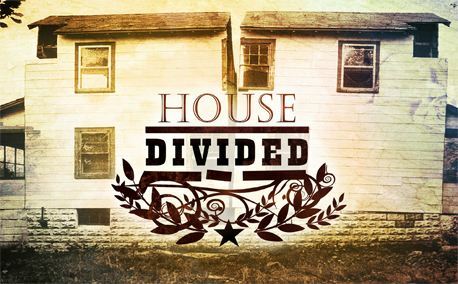 If your brain was a house, it'd surely be divided. 1. Things around us might get intense. The "machine" driving the world's agenda is just going to intensify the attack of fear, shame and all types of evil. There's a clear agenda out there and the Bible tells us that it is to Steal, Kill and Destroy. I find it interesting that Jesus came to Restore that which was lost, give Life and Redeem us from the hand of the enemy. He's a great choice if you ask me! 2. It's smart to know what you believe. I heard some incredible statements at church yesterday. The main one was that the Bible dictates how I behave and how I think. That same Book tells me to love God with my mind, which means, don't forget your brain when you sit at church but use it. When I give God my attention I use my brain to really dig into what I believe and why I believe it. I find that I don't become a robot but I have developed some great questions that God has no problem answering. 3. It gives me peace. Jesus is the Prince of Peace. He will not compete with any other source because He is the only One that can give me lasting peace. I refuse to take the fear pill and then expect an inner life that reflects perfect calm. I am committed to allow the Prince of Peace to speak true tranquility into my soul. I know I can't give what I don't have, so these meetings are essential if I am to be an instrument of peace in a troubled world. There are plenty of sources of confusion, dishonor and negativity out there. It doesn't take a smart person to know that times are changing and things can get worse. What I think my circle of influence needs is someone who meets on a regular basis with God. I like to encounter Him in the cool of the morning, as it was once done in the Garden of Eden. I make it my habit not to be religious about it, so if we need a 1 a.m. conversation I'm open to it - followed by a request that I please go back to sleep so I can have energy the next day. I'm open to talking to God while I do dishes (those are often interesting times to connect) and whenever the Holy Spirit whispers the name of a person in my ear. I also open my spirit to hearing His voice as I read my Bible and as I speak to other believers. How great it is to be aware of God wherever I am. I know there's a battle for my attention and it is fierce. I am determined to be disciplined to say no to these worldly signals and yes spiritual disciplines. A yes to God is a yes to peace and abundance, every time. I trust you'll make the right choice this week. Start small but do start connecting with God on a regular basis.